This is one of our oldest and most treasured recipes, loved through the generations! Chunky squares of this Carnation fudge make a brilliant homemade gift for anyone. Read on to learn how to make fudge with our popular Ultimate Fudge recipe! 2. Bring to the boil then simmer for 10-15 minutes, stirring continuously and scraping the base of the pan. Take care while the mixture boils and during stirring as the fudge will be VERY hot! To see if it’s ready, drop a little of the mixture into a jug of ice-cold water. A soft ball of fudge should form. Alternatively, check with a sugar thermometer if you have one (the fudge should be approximately 118°C). 3. Remove the fudge from the heat and beat until it’s very thick and starting to set (this should take about 10 minutes). 4. Pour into the prepared tin and leave to cool before cutting into squares. Want to customise our tasty Ultimate Fudge recipe? Try adding nuts, fruit or chocolate chips at the end of step 2! I made this yesterday following the steps and using a hand mixer to finished and, the result was fantastic. Hi Angela, glad to hear that your Carnation fudge was such a success! I made this last month - once finished I split the fudge into different lined containers added macadamia nuts to the base to some, rock salt on the top on a section and left the remainder plain - it worked everyone had a little taste of what they preferred - I'm about to concoct some more - I'm thinking a minted fudge at some point too ! Hi Samantha, your ideas sound fab! Can I use Flora instead of butter? Hi Moira, we normally use unsalted butter, but an alternative baking spread should work just as well. Do I need to use Demerara sugar? or will normal sugar be acceptable as well? Hi Nazly, you can use an alternative sugar to Demerara, however you'll get a slightly different taste than if you were to stick to the recipe exactly. Hi Carol, what a great idea! If you are going to add cherries, make sure you mix them in at the very end, right before you pour the mix into a tin for chilling. You might like our ginger and cherry fudge recipe on the website! Love this, so simple to do...experienced cook but 1st time making any sweets. Recommended. Hi. My fudge burnt badly at the bottom, was the pan wrong, or did i not stir enough, or what do you think i might have done wrong. Also to get a slightly softer fudge would i go only to 114 degrees ? Hi Sara, sorry to hear that your fudge has been misbehaving! there are 2 very important stages to get right when making fudge - the heating and the beating! The fudge mixture needs to get hot enough to set (about 116C) and then you need to beat for about 10 min. The trick is to allow it to cool for a minute before you start beating. Make sure that you use a non-stick pan and beat continuously to avoid burning the mixture. If the mix doesn't get hot enough, you might have trouble trying to get it to set. Hi Shannon, the colour and flavour will be slightly different, but the recipe should still work! Hi just made my first batch of fudge do you put it in fridge to set? Hello, congratulations on Fudge success! This recipe will set at room temperature, so need to set in the fridge. Can whisky be added to this fudge, and if so, how much and at what point? Hello, what a delightful idea! The best way of adding flavourings to the fudge is to add it in the very beginning with the rest of the ingredients. The fudge will take a little longer to get to soft ball stage before you start beating. Hi David, sorry to hear you are having trouble with your fudge. It is important to bring your mixture to a steady boil until it reaches soft boil stage or 118C. A good tip is to use a heavy based pan to ensure a consistent boil, and be sure to keep stirring, as this will stop the fudge from burning. Just made this fudge, my granddaughter licked the beaters after I'd poured it into the tin to set. She said it tasted like 'real' fudge! I take that as a compliment! Hi Dawn, glad to hear that your fudge went down a treat! We always love to hear of Carnation successes! Could the butter be replaced with clotted cream instead? Hello, the butter is an important ingredient to create deliciously smooth fudge. How can I add some baileys to this beautiful recipe?? Hi Michelle, you can yes! Just make sure that you add the Irish cream in step one in order to get the right fudge consistency. 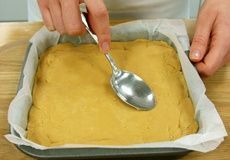 Hello, the Ultimate Fudge is best poured into a baking tray and then cut once cooled as it will still be piping hot even after the beating stage. To create shapes a cutter could be used before the fudge has set hard. Hi Alexia, what a great flavour idea! You can use granulated sugar, however it will change the colour and flavour a little. Let us know how it goes! just done this recipe but it doesnt seem to want to thicken up and got to step 3 been beating for 12 mins now and help will be handy ?? Hi Tasha, there are 2 very important stages to get right when making fudge or tablet- the heating and the beating! The fudge mixture needs to get hot enough to set (about 116C) and then you need to beat it until it starts to go grainy and very thick. If your arm gets tired get some hired muscle! Or tip the mixture into a bowl and beat with an electric hand mixer - soak the beaters in boiling water after. I made this today and I left simmering and everything was fine except I couldn't get the temperature up to 116oc. I managed a maximum of 106oc after 20 minutes only so mixture hasn't hardened. Hi Wendy, good luck we hope you enjoy sharing the results. Can I use sweetened condensed milk instead of condensed milk? Hello Laura, Carnation Condensed Milk is also referred to as sweetened condensed milk. We hope you enjoy this recipe! Hello Kelly, there are 2 very important stages to making fudge; the boiling and the beating. Make sure you boil the fudge to 118C (soft ball stage) and then beat with a spoon until the mixture becomes creamy and begins to thicken. An electric mixer will make the beating easier. I have made this fudge and the first time it turned out and tasted amazing; ever since I made it after that time it hasn't set. I don't know what I am doing wrong. Please help me to figure this out. Hello Gail, this fudge is best stored in an airtight container, at room temperature, for up to 5 days. I need to know what can be used instead of condensed milk since all I can find is sweetened condensed milk. Hello Laura, Carnation condensed milk is also referred to as sweetened condensed milk. They're the same thing, so no need to find a replacement! This can be used in all appropriate recipes. Hello Saffron, this favourite recipe works with either salted or unsalted butter, but we usually use unsalted for all our baking. Can you dye this fudge recipe another color? Love this fudge but need it pink. Hello Sally, yes this fudge can be dyed a colour. For best results use caster sugar instead of demerara for a paler fudge base, then add a few drops of colour. I've used whole milk and it's delicious. Melted butter and sugar first as someone previously advised to prevent graining-worked a treat. Added rum soaked raisens at the end of stage 2 and it's just fabulous. Hello Vicky, what a delicious treat to share! We are very happy to hear that we have another Carnation Ultimate Fudge fan! Hello Sally, sorry to hear you are having trouble with your fudge. It is important to bring your mixture to a steady boil until it reaches soft boil stage or 118C. This fudge is amazing! However, whenever I try to make it myself, I can't seem to get the fudge to 118degrees during simmering. It has a hard time even getting to 100, and when I leave it on the stove for too long it begins to burn. I'm not sure why this is happening, as my coworker has successfully made this fudge many times. I would love to be able to make it myself but I'm not sure where I'm going wrong. Hello Chelsea, this recipe is a big hit here in the Carnation kitchen. A good tip is to use a heavy based pan to ensure a consistent boil and make sure to keep stirring, this will stop the fudge from burning. If you are unsure that the fudge has hit 118C, try testing it for soft boil stage. Hi made this and it turned out great, my friend asked me to make maple and pecan fudge how much maple syrup and when do I add it. Hi Julie, what a lovely combination! For maple flavoured fudge, try adding two tablespoons at the beginning of the process. Gently toast and chop 50g of pecan nuts and then add during the beating stage. I made the chocolate fudge in the microwave. Perfect. Is it possible to make this fudge in the microwave? Hello Carole, this Ultimate Fudge Recipe is a hob and saucepan recipe. The time spent making it is always worth it! The most important stage is the boiling and then the beating. It is important that the fudge is boiled long enough to reach 115 C, then beat it until cooled. Does this recipe require whole milk? Hello Kelly, we have made this recipe with semi skimmed milk and the result is just as delicious. how long do you leave the mix to set before eating? because i just made some but i don't want to cut it too early. Hello Natsu, the Ultimate Fudge mixture should be left until it is completely cooled before cutting. The wait will be worth it! i made this and am waiting for it to cool but I'm sure that it will taste delish! Hi could I use double cream instead of milk for a creamier fudge ? Hello Hellen, if you are after a creamier fudge then try mixing this one in a large mixer until it is almost set. This will give you a very smooth, melt in your finish without the extra calories. Hi could someone please help me, I've tried 2 attempts at this fudge, first my thermometer broke and I ended up with a toffee, lovely but not what I was going for and the second attempt I followed video to the letter did the soft ball test instead and its come out crumbly! It tastes great but not the right texture it crumbles in your finger tips, please help would love to get this right, thanks. Hello Carrie, there are 2 very important stages to get right when making fudge - the heating and the beating! The fudge mixture needs to get hot enough to set (about 116C) and then you need to beat it until it starts to go grainy and very thick. If your arm gets tired get some hired muscle! Or tip the mixture into a bowl and beat with an electric hand mixer - soak the beaters in boiling water after. The better you beat the mixture the smoother it will become! I have made this and the tablet a few times now and always turns out lovely! Hello, I am new to this site and want to make the ultimate fudge. Can I use the light condensed milk for this recipe? Hello Anne, the Carnation Condensed Milk can be replaced for the Carnation Light Condensed Milk in this recipe. Hello Violet, baking can be so creative! We love to hear how each baker personlises their creations! Love this, made as gifts. So easy to make too, the easiest I've found so far. I followed the tip from cat12 and it worked well. I made this,was a bit reluctant as I have had my own recipe for years,Iwas delighted at results and after a few hints on the comments board I tried a tea spoonful of coffee at whisking stage ...then walnuts...so I have a delicious coffee and walnut fudge...so easy...and will look forward to giving to friends...so glad I joined Carnation...thank you. I swapped the 150ml of milk to 150ml of Bailey's. the kitchen smelled lovely and they went down really well with the street. I've made this fudge several times and have used all kinds of sugar to make it, including caster, granulated, golden caster, Demerara and light brown sugar, I've always combined the sugars in various ways based on whatever I have in the house. The fudge always works and is always delicious. But I've had the most luck with 325g light brown sugar and 125g Demerara. I simmer it for 15 minutes for a firm fudge with a texture like thick wet sand. I add a pinch of sea salt after I turn the heat off before I start beating it. It makes the perfect fudge, the hint of salt makes you crave more and more, which may or may not be a good thing. I love this recipe - it works every time. I ring the changes by switching the demarara sugar for either lighter or darker varieties. One of my absolute favourites is to use molasses sugar - Mmmm, bonfire fudge! I've just made this lovely fudge and it turned out amazing. The only thing instead of 10/15 minutes simmering I'd say 20/25 minutes. Very very sticky when pitting on baking tray you have to work very quickly. Would make this again for sure. Delicious! I found that the times given in this recipe were a lot shorter than it took me. Using a thermometer it was way longer than 15 min to get anywhere near 118 deg, even then it didn't reach temp. The texture was perfect, not grainy at all. My dad calls it Russian Cream and said he hadn't had anything like it since he was a child, so it was a big hit in our house! Would recommend this recipe but don't assume the times given are always accurate! I added peanut butter, absolutely delicious. I made this last week and it was delicious! It did not last long at all. I was thinking of giving it to my friends and family as an extra treat along with their presents.. I was wondering how long is will last once made? Lovely easy recipe..At stage two I added 50g each of crushed pecan nuts & sultanas, really delicious. At stage two I added 50g of crushed Pecans & 50g of Sultanas result was perfection..an easy & delicious recipe. Love this fudge everyone has said how nice it tastes. Easy to make but I did have to use a thermometer and an electric wink at the end but it turned out really good. I made it with the tinned caramel from Carnation. It worked so well and tasted amazing. I used a sugar thermometer it takes the panic out of the preparation. Next time I might add coffee to dissolve into at stage 2 as it's a lovely coffee colour already. This fudge is my new favorite confection. Thanks Carnation! It didn't make it out of the kitchen... We ate it!! Made this fudge very easy to make I will always use this recipe in future,do you think I could use black treacle to give it a treacle taste and what would I replace with it? I make this fudge a lot and it always turns out well. The secret is patience and continual stirring which I find quite therapeutic! The soft ball stage is more like a streak of firmness but a spatula thermometer from Lakeland is ideal. I stirred in about a100 grams of broken white chocolate last week just before tipping the beaten mixture into the tin. To give a rippled effect. I nearly always make it with granulated sugar as I think it gives it a slightly creamier texture. All in all a lovely recipe from Carnation! I'm a 61 year old grandfather and I made this, much to the surprise and disbelief of the mothers at my granddaughter's school's Open Day. It disappeared so quickly I have been asked to make more. Great recipe and super easy, even for an old age amateur like me. Such a lovely recipe to follow. Was looking for a recipe my lovely nan made when i was little but couldnt find - and that used Carnation Condensed Milk. Found this one and I made it first time over a week ago adding dark chocolate - and today I made the plain...Both are so delicious and easy to make. I use an electric whisk at the beating stage. Then pour into greased tin. Just made this today and it was so easy! Followed the video rather than the step by step instructions and it worked perfectly. Took longer than the time stated but I didn't mind and i added some vanilla essence at the end. I also used a silicone spatula as I found this better for scraping round the pan while cooking. It's setting just now, can't wait to try it! I find it easier to use an electric food mixer for the 'beating' stage. You can get on with the washing up while it's mixing and no more arm ache! Also keep stirring really thoroughly at the simmering stage as it burns in the pan very easily. I use this as a base recipe for fudge and tablet. This fudge has been made with Oreo cookies, drizzled with milk choc and bits of cinder toffee and also made with bits of mini eggs - not all at once - although that would still be eaten in my house. Would it be possible to add fruit to the fudge? I was thinking apple and cinnamon....or is that a step too far in my experimenting??! Hi Deb, sounds like you some very delicious ideas! Cinnamon would work and be quite lovely. We would recommend adding fresh ingredients as they will release more liquid and change the texture. Also fresh ingredient s would give a you a shorter shelf life. That said dried apple pieces could be added. Hi Lolo we would suggest keeping the fudge in an airtight box in a cool dry place (no need to refrigerate!). It should keep fine for about 3 weeks. Though it never lasts that long in the Carnation Kitchen! Hi I'm gonna make fudge for the first time,I haven't got a thermonator will that be ok? Abit scared of making it!! Hi Michelle, fudge is a very delicious treat and far easier than it seems. there are 2 very important stages to get right when making fudge or tablet- the heating and the beating! The fudge mixture needs to get hot enough to set (about 116C) and then you need to beat it until it starts to go grainy and very thick. If your arm gets tired get some hired muscle! Or tip the mixture into a bowl and beat with an electric hand mixer - soak the beaters in boiling water after. I made a batch of chocolate fudge by adding two tblsps of cocoa powder to the ingredients and the fudge turned out to be superb . What should i do when it starts to caramelize during step 2 when i am boiling it and it does not start to form fudge when i do the ice cold water check!??!! Hi Thea, if at any stage you find dark pieces coming up from the bottom then remove from the heat and transfer into a new pan. Return to the heat and continue boiling until 116C. I love the taste of RootBeer so I was wondering could i add this to fudge? if I used Zatarain's RootBeer extract, how much should I use and at what point should I add it..? Hi Ryan, that's not a flavour we've tried. We recommend adding 50 ml with the other ingredients in the Step 1. If you use white sugar the flavour will be more recognisable. - The mixture will increase as it cooks so use a big pot to avoid spilling over. - If you don't stir constantly and use full fat milk, it will likely curdle. It's still edible but may not taste quite as good. Other than that, it seems to have worked so far, I'm just waiting for it to set so I can see what damage the milk might have done. We made this at Christmas but it took a very long time to go thick. We also did it again this time using a electric mixer hope fully going to be quicker. Hi Laura, there are 2 very important stages to get right when making fudge or tablet- the heating and the beating! The fudge mixture needs to get hot enough to set (about 116C) and then you need to beat it until it starts to go grainy and very thick. If your arm gets tired get some hired muscle! Or tip the mixture into a bowl and beat with an electric hand mixer - soak the beaters in boiling water after. OH MY! Made this for the first time today. Who knew making fudge was so easy! It turned out amazingly. Made it plain, and used white sugar (had demerara but was expecting the first lot to come out wrong, so used white as a test batch!) Will be making rum and raisin with demerara when this lot gets eaten... at this rate it'll be tomorrow! I think people over beat using electric beaters and that's why theirs go wrong. I used my good ol' boyfriends muscle! My fudge is very funny, i have beat it for 20mins and it is not thickening at all! What can i do to rescue it? Hi R, there are 2 very important stages to get right when making fudge or tablet- the heating and the beating! The fudge mixture needs to get hot enough to set (about 116C) and then you need to beat it until it starts to go grainy and very thick. If your arm gets tired get some hired muscle! Or tip the mixture into a bowl and beat with an electric hand mixer - soak the beaters in boiling water after. Hi Wafa, Demerara is a brown sugar found in the sugar aisle in most stores. I have made this fudge before and it was a little grainy but i after reading some comments i think this was because i started beating it too soon. 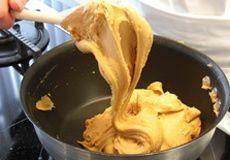 I want to make peanut butter fudge, i read someone else had tried and it turned oily, if i were to replace all the butter in the recipe for peanut butter, do you think this would work? Hi Charlotte, if the peanut butter is cooked it will release its oils. The best way of doing this is to add 2 tbsp. during the beating process once its cooled slightly. Hi Sharon, if you cook the ultimate fudge recipe for longer until the mixture is at least 132C or reaches what we call 'soft crack' stage then pour into a dish without beating you will get a delicious toffee. Just be careful because it becomes easier for the mixture to catch and burn the longer you cook it for. Hi, Margaret we recommend unsalted but both will work! Hi Shirl's, Carnation Caramel makes a delicious fudge, its just as creamy but a liitle richer. Substitute the Carnation Caramel for the Carnation Condensed milk and white caster sugar for demerera. Otherwise the other ingredients and instructions remain as they are. Enjoy! As a Brit living in USA, my thermometer has just died. The replacements, both reputable brands, don't reach 212F when I put them in boiling water. If they only register 208F rather than 212, should I then use 234F for soft ball stage rather than 238F. Cold water test did work but as a chef I am so used to a thermometer. for those who have problems getting sugar to melt, I melt butter with milk and then add sugar and heat very gently until sugar is totally melted and only then add condensed milk and cook. Also when I leave cooked fudge to cool for 10-20 minutes, I only had to beat it with an electric mixer for about 1 minute. I so missed good English fudge, American is over sweet and hard like tablet. thanks, everyone is very happy this week. Hi Claire, Arm ache is one of the risks of making delicious fudge. You could try finding some hired muscle! Or tip the mixture into a bowl and beat with an electric hand mixer - soak the beaters in boiling water after. Hello, your recipe calls for condensed milk but I'm only able to find evaporated milk. Will this work? Hi Mo, evaporated milk is simply a more concentrated milk however condensed milk is concentrated with a high percentage of sugar added. Evaporated milk will not work as a substitute in this recipe. Fab recipe and so easy. I had none of this problems some people encountered. Didn't need a sugar thermometer and don't have the best hob in the world, but it still worked a treat. Making more fore sure. Hi Sarah, Yes Carnation Light Condensed Milk can be used in this recipe. Made this fudge today and turned out great, I added coarsely ground sea salt to my fudge at the beating stage and it totally transforms the flavour. Definitely a favourite of mine from now on. Can I use soft brown sugar instead of Demerara ?? Hi Selah, soft brown sugar will give you a darker fudge with a stronger toffee flavour but you will still get a good result. Hello! I am excited to try out this recipe out - I wanted to make a chocolate candy cane flavour. I will be adding the candy cane bits at the end - what I am unsure of is how much cocoa powder to add at step one to achieve a nice rich chocolate flavour too? Hi Amy, 2 tablespoons of cocoa powder will give you a good rich chocolatey fudge flavour but you can adjust this as to your preference! If I was adding white chocolate at the how much would you recommend? Hi GMAC, if you are making white chocolate fudge why not try the easy chocolate fudge recipe and subsitute the white chocolate for dark in equal quantity. The fudge turned out really well but I want to give it as presents in a little bag. How can I stop the pieces sticking together? Hi Meg, make sure you keep the fudge in airtight containers. You can dust the fudge with either sieved icing sugar or cocoa powder to stop it from sticking but this can also effect the flavour. Is there a way to reduce the sugar? Delicious but very very sweet!!! Fudge setting as I type... Don't think any will end up as Christmas gifts!!! Hi Krissy, the sugar is crucial to the setting of the fudge. It never lasts long in the Carnation kitchen either. Any ideas as to how to make this a Christmas fudge for gifts? Hi Libby, you could either add some christmas ingredients such as cranberries or nuts or if you make it with white sugar instead of demerera you could colour half red and half green. Then wrap them up in little bags and tie with pretty ribbon. They make a lovely gift. Hi lou1 the fudge will last for up to 3 weeks in an airtight container. Hi I attempted this for the first time and although it was very tasty it was hard Please tell me what I am doing wrong ! Hi Toughangel73, the fudge needs to cook to 116C or soft ball stage before beating. If you cook it for longer it will get harder. So I made this recipe and I absolutely love it! it came out perfectly smooth and soft! Never been able to make fudge that sets so perfectly! Definitely a tip to anyone keep it out of the fridge after it sets and store it in a airtight container, it stays so soft! Anyway I have a question, now I want to make a bunch of flavors for Christmas but the recipe isn't really clear how to do this. I assume with flavorings I can just add them to the fudge as I am beating it. But as far as adding White chocolate or Peanut butter chips, how do I do that without ruining the fudge? Any help would be appreciated! Thank you! Hi Jessica, sounds like you've really mastered the Ultimate Fudge. Adding the flavourings at the beating stage is the right choice. If you want to make white chocolate fudge why not try the easy chocolate fudge recipe and substitute the dark chocolate for white. As far as peanut butter goes you can add a tablespoon at the beating stage and your fudge will still set. Or alternatively try adding whole unsalted peanuts. Hi could you make this with Light Condensed Milk ? Hi Jet, this recipe works fine with the light version! Could I use caramel instead of plain? Hi Finn, Carnation Caramel makes a delish fudge, its just as creamy but a liitle richer. 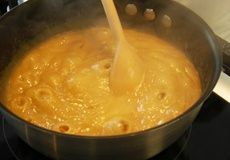 Substitute the Carnation Caramel for the Carnation Condensed milk and white caster sugar for demerera. Otherwise the other ingredients and instructions remain as they are. Enjoy! Hi - I have made this fudge, but every time I did the cold water test, it did not go into a soft ball. So I could not get it to set properly. Hi Lynka, if you boil the ingredients for long enough it will start to thicken and then will reach soft ball stage. It does take about 10 - 15minutes of boiling but the result is worth the wait! Thinking of making this for Christmas present , how long will it keep for ? Hi Ruthy, we have a very Easy Chocolate Fudge recipe on the Carnation Website. Remove white for dark chocolate in equal measure for best results. HI Joyce, this recipe is not appropriate for freezing. The high sugar content means that it will absorb water and become very sticky. It will last for at least 3 weeks in an airtight container so hopefully this will help over busy periods. Hi, i tried to make this fudge recipe, but somewhere i must have gone wrong. When I was at the boiling stage, i suddenly saw en smelled burnt suger popping up in a few places. I hadn't stopped stirring or anything so this surprised me. How did this happen? Also I had put the heat higher to bring it to a boil, maybe that is also what made my fudge more brown? Do you have to keep the temparature low and just wait a long while? Also what i didn't really get was the simmering. Are you supposed to bring the temperature up to 116 and then take the pan immediately off the heat? or is it meant that you should keep it at the heat for 10-15 minutes? I kept it there for a bit but it didn't seem right. When i was finally done and tried stirring it looked fine, but when putting it in the prepared tin it seemed not fluid enough and already grainy. Even though i stopped stirring when the gloss became matte. What did i do wrong? Hi Wendy, many home bakers find fudge tricky. There's a bit science around the cooking! When the sugar initially starts to boil it will be at about the temperature of boiling water 100C but as water evaporates off the boiling temperature goes up! This is why we boil it for 10 to 15 minutes. As the temperature goes up the sugar changes and as a result when it cools the crystals form and we get the wonderful fudge that everyone loves. So to answer the question: Bring the ingredients to the boil at a medium heat and boil until it reaches 116C then remove from the heat. Beat until it is getting thick and then press into a tin. Hi X, there are 2 very important stages to get right when making fudge or tablet- the heating and the beating! The fudge mixture needs to get hot enought to set (about 116C) and then you need to beat it until it starts to go grainy and very thick. If your arm gets tired get some hired muscle! Or tip the mixture into a bowl and beat with an electric hand mixer - soak the beaters in boiling water after. Hi Flower. The Carnation Caramel is perfect for banoffee and other treats. It is already a cooked form of Carnation Condensed milk and so is not suitable for the fudge recipe. Hello, I will be making this on the weekend, have you got any tips to get the perfect fudge? Hi Glenda, there are 2 very important stages to get right when making fudge or tablet- the heating and the beating! The fudge mixture needs to get hot enought to set (about 116C) and then you need to beat it until it starts to go grainy and very thick. If your arm gets tired get some hired muscle! Or tip the mixture into a bowl and beat with an electric hand mixer - soak the beaters in boiling water after. Hmmm my mixture went dark very fast and started to get very thick and burnt... So I whisked it and now have fudge toffee.... Didn't realise you could over boil it? Is it better to heat very slowly? Hi Andrea, you can over cook fudge but luckily toffee is quite delicious too. We cook the fudge on a medium to high heat but what is very important is that you stir constantly to stop it from sticking. Make sure you get right inTO the corners! I made this for the first time today. It tastes great but when I put it into the prepared tin it looked all powdery and not smooth as I expected it to look, did I over beat it? Hi Tracey, it does sound that beating could have been the problem. It could also be that the mixture cooked a bit too long. There are 2 very important stages to get right when making fudge or tablet- the heating and the beating! The fudge mixture needs to get hot enough to set (about 116C) and then you need to beat it until it starts to go grainy and very thick. As it starts to thicken visibly pour it into the tray. Ahhhh fudge nightmare twice iv tried this and it just won't set ! 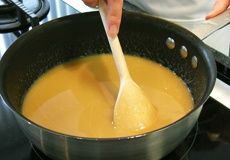 Hi Icelolly08, there are 2 very important stages to get right when making fudge or tablet- the heating and the beating! The fudge mixture needs to get hot enough to set (about 116C) and then you need to beat it until it starts to go grainy and very thick. If your arm gets tired get some hired muscle! Or tip the mixture into a bowl and beat with an electric hand mixer - soak the beaters in boiling water after. What type of milk do I need for this recipe please? Can you use light muscovado sugar instead of Demerara sugar in this recipe? Hi Melanie, yes light muscavado will work in this recipe although you will notice a difference in colour and flavour. It will be darker and have a stronger caramel flavour. Hi Janerum, mint fudge is delicious! Just a couple of drops of peppermint makes delicious minty treats. How could you adapt the recipe to make baileys fudge? Hi CheekyMonkey, If you want to add Bailey's you could replace the milk in the recipe. Take out 50ml milk and replace with 50ml of Baileys. HI, i would like to make edible christmas hampers for the family, and do as much as possible in advance - hoe long would these last please? Hi Kay, Ultimate fudge is a great gift idea! Once made it will keep in airtight containers or wrapping for about 3 weeks. Hi Alicat,Add 100g of coconut at the beating stage works beautifully. Fresh berries on the other hand we've not tried. The concern would be the water in the berries would change the setting of the fudge. Dried berries such as blueberries or strawberries works very well when added at the beating stage. I beat mine in a Kenwood mixer and after 4 mins it had almost set. What did I do wrong? Hi Meg, it may be that the fudge had cooked for a little longer than necessary. Fudge will always set quicker if you beat it with an electric beater because it cools quicker. It will also be smoother and creamier! Next time cook it until it has just reached the soft ball stage at 116C then tip it into the mixer and the result will be silky smooth. I can't use the "print these step-by-step instructions" please advise? Made this fudge for the first time today. Turned out perfect! Lovely recipe. Cannot wait to take into work so everybody can have a munch. It's a great recipe but only works every other time but if it doesn't work I find blending it seems to help. I also started a mini business and sell it at events such as churches and fairs. Great recipe. When it comes to adding choc at step 2 how much do you add? White and milk? I have seen other recipes for white choc fudge and milk choc fudge but I like this recipe and actually manage to make it. Hi Gail, the best time to add the chocolate is at the end of the 'beating'. The fudge is still warm so the chocolate will melt. Add up to 100g chocolate to the recipe depending on how chocolatey you like it and it will flavour it beautifully . Hi! Can you put Malteasers or/and Smarties? I made this countless times and it is a treasure with family and friends alike.Thanks. Hi Marissa, it's a favourite in the Carnation kitchen and never lasts long! We add all sorts of things to them. Just wait till you've finished the beating and then add your chocolates, fruits or nuts etc. I made this it set fine it tastes fine but it crystalised what did I do wrong? Hi Marian. The secret to perfectly smooth fudge is to let it cool ever so slightly before beating. A couple of minutes of cooling time should do it. Then beat till it just starts to crystalise and pour into a baking tray. Just made this and it is setting nicely in the fridge. I used an electric hand whisk to beat for the final stage and found it only took 3 minutes before it started to get quite thick. Now I have a recipe that works I can begin to think of other flavours! Have just attempted to make this with the children.....'epic fail' in their language! It wouldn't reach 116 degrees, despite using a large pan on a wide hob , then burned badly and has been tipped down the sink. An expensive mistake. Hi Nicki, sorry to hear that you had a fudge nightmare. It is very important to keep the fudge on an even heat and to stir constantly. It is a very delicious and rewarding recipe once you get the knack! I made this fudge firstly as the recipe stated, but it took a while to set. On my second attempt, I left out 10ml of milk and added 10ml of green food colouring (Liquid colouring). The fudge I made came out looking like slime!! it was perfect for a planned Halloween party. One word of advice...use an electric whisk or you'll end up with arms like Popeye!!! Hi Sarah, we recommend leaving the fudge to set for about 30minutes or until cool then it is easy to turn out and cut. Could you use a different type of sugar such as caster sugar to achieve a whiter colour? I want to colour the fudge for Christmas but have a feeling it will go a bit of a dodgy colour. Hi Chanel, you can use caster sugar and you'll get a lighter colour you'll still need to be careful which colours you choose as you are not starting with a white base. I also had difficulty in reaching the temp. mentioned and it took 45 mins for the fudge to start to thicken by hand . The end result was , I am told yummylicious , so the effort was worth it. Hi, I'd really like to make a chocolate orange fudge, maybe an adult version with orange liquor. When would I add the chocolate and the liquor and would I have to adjust any of the other ingredients? I'm also not entirely sure how much of each to use. Any suggestions gratefully received. Thanks. Hi Emma, what a lovely idea and very trendy! Why not try the carnation easy chocolate fudge recipe and add the zest of an orange in with all the ingredients before you begin melting. If you'd like it a bit boozy you could add 50ml liqour once all the ingredients are melted. Hi Kay, there are 2 very important stages to get right when making fudge or tablet- the heating and the beating! The tablet mixture needs to get hot enough to set (about 116C) and then you need to beat it until it starts to go grainy and very thick. If your arm gets tired get some hired muscle! Or tip the mixture into a bowl and beat with an electric hand mixer - soak the beaters in boiling water after. Hello, is it okay to put the fudge in the fridge to help it set? I've made this recipie many times and each time it's a success. I like it with a thin layer of dark chocolate over the top. Can I freeze this fudge? Hi Teresa, rather than freezing fudge we would keeping it in an airtight box in a cool dry place. It should keep fine for about 3 weeks. Though it never lasts that long in the Carnation Kitchen! I have made this several times, it's very popular! I use a stand mixer to do the beating and it works out perfectly every time. 1. you cannot simmer anything to 116 degrees, i had it on rapid boil for 30 mins and only got it to 110. 2. i had my electric mixer on for 20mins to try and get it to a paste and failed....DO NOT add chocolate as it just melts..
Hi Jayne, sounds like you had a fudge nightmare! There are 2 very important stages to get right when making fudge the heating and the beating! The fudge mixture needs to get to 116 to set. We boil the fudge in a large saucepan on a wide hob to get even heat. Once its reached soft boil stage the beating will give it a soft texture and the result is luxurious fudge. I didn't have enough Demerara sugar so made the quality up with soft brown and it worked well. Also I made a second lot by adding raisins soaked for a very short time in a little rum. I really want to make a peppermint fudge (no chocolate). Would adding peppermint extract achieve this and would green food colouring work well with these ingredients? As in, the mixture looks quite brown and I don't want it to look awful if I add green colouring. Hi Carol, adding peppermint extract will give you a lovely minty fudge. Just a couple of drops will do the trick as the extract is usually very strong. You're right in being careful of colour you are starting from a browny base and this will effect the final result. I have discovered 2 X 405g tins expirary date 05-2006 in the back of my cupboard. Can I still use them? Also, in the depths of my memory - what was the recipe for boiling said tins for a long time? Hi Patricia, our products are carefully tested over their product life to ensure the safety of consumers and are dated accordingly, so we wouldn't recommend using those tins! Have you tried our Carnation caramel? It takes all the fuss out of boiling tins! I wanted to make this for my mums birthday as fudge is her favorite. I followed the recipe as instructed then put it in a tin to set in the fridge, but three days later it didn't set, so my mum has now got no birthday present. I'm upset and my grandma's wasted money on the ingredients. I've made fudge before but never with condensed milk. What shall I do? Hi Sheila, we're sorry you're disappointed with your fudge. There are 2 very important stages to get right when making fudge- the heating and the beating! The fudge mixture needs to get hot enought to set (about 116C) and then you need to beat it until it starts to go grainy and very thick. If your arm gets tired get some hired muscle! Or tip the mixture into a bowl and beat with an electric hand mixer - soak the beaters in boiling water after. The fudge is best setting in a cool dry place. Could you please give me some idea of how much rum and raisins I would need to add to the recipe and if I need to reduce the amount of milk. Thank you. Hi Ady, what a deliciously decadent idea. We've not tried it as the Ultimate fudge is much loved in the Carnation Kitchen just as it is. We'll test this and get back to you. Hi Lesley sounds like the fudge could have been beaten too long, which can cause it to go grainy and crumble. Our trick is to let it cool a little first and then beat it until it becomes thick. Hi again! I have mastered the fudge and I make it weekly. I'm experimenting, and I'm thinking if I can use food colouring inside. Hi Marissa,colouring can make wonderful seasonal goodies for Christmas and special events. Hi Sue, what a wonderful treat to brighten someone's day! I have made fudge several times with no problem, but the last two times the texture is not completely smooth and looks rather grainy. Not sure why this is happening. Hi Linda, fudge can be temperamental sometimes! The secret is to let the mixture cool for a minute before you beat it. Transfer it into a bowl and mix with a wooden spoon. Hi Tony, a thermometer does make it easier but a secret that we were taught if you don’t have a thermometer is to pour a small amount of the hot fudge into a bowl of cold water. If it is ready you will be able to handle it and it won't melt into the water. This is soft ball stage. I'm not exactly sure what's happening (or even complaining) but when I make this fudge recipe it all goes perfect until I stir in flavorings (peanut butter, chocolate morsels, etc). The fudge become crumbly but still sets in the allotted time. When it's cut it closely resembles a scottish tablet. The fudge is still very delicious but it's strange that it spontaneously turns into a scottish tablet. Any thoughts or tips to correct this? Hi Miranda, those flavours sound great! I would suggest that the oils from the peanut butter change the texture, but it still sounds delicious. If you want chocolate fudge try adding cocoa powder to the ingredients at step 1 and then follow recipe as on the website. This is a great recipe. I failed on my first attempt, didn't read the instructions carefully enough. Second attempt it was perfect, and my friends & neighbours love it. Thanks for sharing, will be making again! I tried this but the demerara sugar just wouldn't dissolve. I was on step one for 25 minutes, but it was still there. Should i try a different type of sugar? Or do i need to have more patience? Hi Ashley, fudge does take patience but is well worth the wait. Stiring constantly should dissolve the sugar. Once made, does it need to be refrigerated all the time? I've made it before but I'm planning on making it this week for the kids' teachers - will it be ok? Hi Sian we would suggest keeping the fudge in an airtight box in a cool dry place (no need to refrigerate!). It should keep fine for about 3 weeks. Though it never lasts that long in the Carnation Kitchen! hello wonder if ou could help me.i use you recipe for the fudge all the time and it's great.Would clotted cream work with in the fudge recipe?? Hi Chantelle, what a deliciously decadent idea. We've not tried it as the Ultimate fudge is much loved in the Carnation Kitchen just as it is, but if you do try let us know how it goes! Your ultimate fudge: what would be the 'shelf life' of it, please, when stored in a cool, cupboard as opposed to fridge or freezer? Hi Debbie we would suggest keeping the fudge in an airtight box in a cool dry place (no need to refrigerate!). It should keep fine for about 3 weeks. Though it never lasts that long in the Carnation Kitchen! Hi Alex you can use other sugars although bear in mind it will change the colour and flavour. This is the recipe that I use for home-made gifts every Christmas. I get people giving me hints that they are looking forward to it from October onwards! Just made this with my children and added rolos while setting! Mmmm. I tried to make this 'ultimate fudge' but failed - I followed the recipe - to the letter - until step 3 when you are to beat it for about 10 mins - I gave up after an hour - it was still the same consistency as when I removed the pan from the heat. I've put it into the tray to see if it sets on its own. Hi Roy, the heating part of making fudge is very important. The mixture needs to get hot enought to set (about 116C). Then remove from the heat and allow to cool for a minute before beating. I tried making this yesterday followed instructions but it would not set so I put it in the fridge and is has turned to toffee any advice? Just made this using dark brown soft sugar. Went well, although it went very thick so that I had trouble smoothing it into the tin. Tastes lovely though. Good to know Gail! Thanks for the tip! Hi Amanda, we would suggest keeping the fudge in an airtight box in a cool dry place (no need to refrigerate!). It should keep fine for about 3 weeks. Though it never lasts that long in the Carnation Kitchen! What a lovely treat for father's day Nelly! Hello great recipe , but can I use granulated sugar ? It is so hard to find Demerara sugar or light brown sugar over here. Hi Alex, it won't have the same flavour or colour but it should work ok. We haven't tested it so would love to know how you get on! Well I made the recipe 2 days ago, and there were a few mistakes I made, as no one touched my toffee mixture sitting in the fridge I decided to bite the bullet and put it back into the pot to reheat, low and behold it came back to life and now looks exactly like the picture, double thumbs up and the family especially my husband is "Happy" I must add this was my first attempt so my arms got a good workout!!! Nice work Milly! Well done for persisting - once you've mastered this recipe you'll become a very popular lady! I don't seem very lucky in getting my fudge to set! First time I tried making this my fudge came out the right colour looked and smelled perfect but would not set. The second time I thought I would be brave and added currants, it turned a deliciously dark colour but again, would not set and has come out incredibly grainy! I'm pretty sure the grainy-ness is down to over-beating. But as for not setting am I missing something? the fudge forms a lovely soft ball of fudge in the water but still.. remains half set half unset. Hi Holli sounds to us like it might not be getting hot enough - do you have a food safe themometer that you can check the temperature before beating? And yes the more you beat the more grainy it becomes. Let the mixture cool a little first then beat it until it becomes thick, take a small piece and chill it down to see what the texture is like then you know its perfect! Hi there, I have tried making fudge a few times now and it never seems to work! Have followed this recipe step by step but it never sets properly, tastes great, but when taking out the tin isn't set and it quite sloppy almost...what am I doing wrong?! Hi Alice, there are 2 very important stages to get right when making fudge or tablet- the heating and the beating! The tablet mixture needs to get hot enough to set (about 116C) and then you need to beat it until it starts to go grainy and very thick. If your arm gets tired get some hired muscle! Or tip the mixture into a bowl and beat with an electric hand mixer - soak the beaters in boiling water after. Hi Philippa, hmm we're not experts in temperature differences but we don't think the difference if any would be that dramatic... So stick with our recommendation and see how you get on! Just made this fab fudge although I didn't have a tin of condensed milk I had the 450g squeezy bottle. I was expecting to be able to get 397g out of it but struggled to get 350 and I even cut open the bottle and scraped it out. It was a new sealed bottle. Can you please let me know if the 397g tin has 397g of milk in it or its the weight of the tin + milk? what is the exact quantity of condensed milk needed? I added an extra 50ml of milk to the pan, hoping that it would work but just take a little longer to cook - which is what happened. It did turn out brill. The video and pics were very helpful. Hiya, Can you double or triple this recipe when you have a bid family?Someone told me you can't. Hi Hilde, the mixture can be a bit more difficult to control in bigger quantities. But if you have a really good heavy based very large saucepan and a large stove you can keep the heat even. Keep on stirring and make sure you don't rush the stages. Our advice is only to double the mixture not treble. Don't forget the mixture will rise up in the pan and you don't want hot fudge all over your stove! Hi D! Sounds like you are 'Masters' of fudge making! Well done! Hi Joanne, yes we think this should be fine - though we haven't tested it ourselves - let us know how you get on! Hi can I use an electric whisk ? Hi Barbara, let it cool a little first and then very carefully tip the mixture into a bowl to beat. Then once its finished beating, place into the tin and give the fudge a good whack on the surface to remove any air pockets or bubbles. Soak the bowl and beaters in hot water to remove any sticky fudge! Hi Alison yes you can - let it cool a little first and then very carefully tip the mixture into the bowl to beat. Then once its finished beating, place into the tin and give the fudge a good whack on the surface to remove any air pockets or bubbles. Soak the bowl and beaters in hot water to remove any sticky fudge! 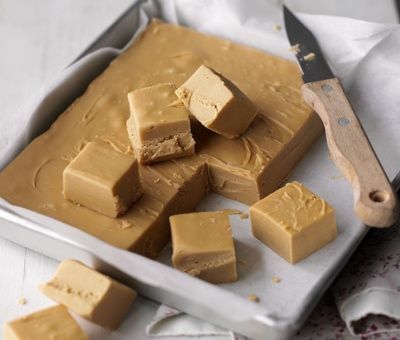 Can you make this fudge using your caramel flavoured condensed milk. Hi Susan, we don't advise using our Caramel as it tends to turn the fudge too dark and toffee tasting - but it depends if you like it that way! Hi Debbie, perhaps if you try instead to drop a little of the mixture when its been boiling for about 10 minutes into a jug of very cold water - if it forms a soft ball in your fingers it should be ready to beat. Let it cool a little before you start beating it then beat until thickened. I have made 3 batches in as many days trying to perfect my fudge. Batch 1 - a little gritty, batch 2 - a little crumbly so batch 3 (having purchased a thermometer and a new pan) a little crumbly again. The family all think its lovely but I felt a little disappointed. Perhaps I am a little too critical and the softer more moist type fudge is a little more mass produced? I would love some feedback. Hi Paula, sounds like the final beating stage you could reduce down a bit - this makes the fudge crumbly or grainy the longer you beat it. You must have very toned arms by now! Hope that helps! made this recipe the other day! I absolutley love it. Instead I made it with soft brown sugar which gave it a lovely treacle taste. Hi Ady, what sort of pan are you using? The best ones for fudge are heavy based non stick saucepans with a wide rim - this allows for even heating through the process. Do the first stage gently and keep stirring - if you see any sugar crystals make sure they're incorporated and melted down before moving on... best of luck with the next batch! Just had an experimental bash at this recipe using what I already had in the kitchen. I had to substitute some of the butter with Flora Cuisine and only had white sugar. The end result is, it's a pale creamy colour and a slightly gooey texture. But I am storing it in the fridge and it tastes awesome and melts in the mouth! Brilliant Sarah, sounds like you mastered it completely! Love this fabulous fudge recipe, if you add oats after step 2 and bake at 160c for 20 mins you get the best flapjacks in the world! Wow Suzy, what a fab idea! Did it last night, but it went rock hard. I checked the temperature and it was 118C. I used ordinary sugar, could it be the reason? Hi Louloutte, yes the sugar could have played a part in the texture being too hard and also it may have been beaten for too long? I made this last night for a friends birthday present. I only wanted a small amount so I halved the quantities. It didnt want to thicken and I lost a little patience so when it had been in the fridge for two hours and was not set and just looked like caramel I panicked. I returned the whole lot on to the heat again and melted it down again, brought it back up to the boil then beat. It worked. It is the best sweet I have ever made and the lesson I learnt; FOLLOW THE INSTRUCTIONS. Hi Mary, it might have got a little too hot or perhaps it needed a little less beating - did you use a sugar thermometer? It only needs to be beaten until it thickens. It can be tricky first time but once you've mastered it you'll be a very popular lady! I have made this several times, added white chocolate to todays batch. I am trying different flavours as my daughter wants me to make it for her wedding, so whisky is next on the list. It has been easy and delicious, thank you. Hi Michelle, it might be because either the sugar hadn't completely melted in the first stage -or it needed less beating at the end. Have another go we promise it will be worth it! I made this today and the result was amazing!!! I used dark sugar and that gave it a more treacle taste! Could you used light condensed milk? I used condensed but I'm wondering wether I could use light? ive tried it too but it it is very soft can i re-do it by reheating it now its cold? Hi George, you can re-heat it but it is likely to go much darker and get quite hard so melt it gently as before and then make sure you stir it constantly while it boils to prevent it catching - try just another couple of minutes boiling or check with a thermometer for the right temperature. Can you use your canned caramel to make this and use less sugar? i have a tin spare and i've made a banoffee pie already. Hi Jo, no we think best not to use the caramel for the fudge as it will turn too dark when you caramelise it. Why not try our chocolate fudge cake or banoffee muffins with the caramel instead? I don't have butter but want to make it tonight, can I use stork instead? Hi Leanne, we've not tested it with margarine but think it should work... Did you try it? My advice to anyone who finds this fudge too sweet is to try adding a little flaked coconut (unsweetened) to the recipe. Not only is this a delicious combination, but also the coconut seems to neutralize some of the sweetness. I have just made the fudge although using a thermometer.I thought fudge might be nice in little bags for favours for my daughters wedding. Made this recipe twice. The first time it would not set properly, but still tasted great. The second time i watched the video and tested the fudge in iced water....it worked a treat. It is so good and knocks spots off shop bought fudge. Hi Michelle, we love it too! Can't beat homemade in our book! Hi Brian, sounds like you're almost professional now! Will you try to adapt the recipe with other flavours now? Hi Ady, sounds like perhaps it might have got a little too hot or perhaps you're stronger than you think and have slightly over beaten it? Hi Jessica, we can't guarantee the results with a reduction in sugar so wouldn't advise it. The sugar helps to set the fudge. Perhaps you could cut smaller cubes instead? I am doing a bake sale for Comic Relief, and I want to wrap the fudge to make it pretty, and, because it is at the school where I am, so there isnt any cotamination of any sort. However, the only way I can achieve this is by making the fudge a day before. When does the fudge expire? Hi Marissa, good news... The fudge will keep happily in an airtight box for about 3 weeks (if you can keep your hands off it for that long!). What a lovely idea! You can buy small sweet bags from supermarkets and cake accessory websites if you want to go really professional?! I first made this fudge at Christmas with my ten year old son to hand out as presents, and not one person has been negative about the results with the majority of people saying it's the best fudge they've ever tasted, and I totally agree!! I substituted the milk for Baileys, actually put 250ml in to add extra flavour ;) and found it one of the easiest fudge recipes I'd ever made. I found on the second batch that using soft brown sugar worked just as well for those who struggle with the demerara option! My first attempt at making this fudge it turned out more like tablet, all my family liked it though. Never one for giving up I made it second time around and its scrumptious. It is tricky though getting the timings right as I dont have a sugar thermometer. Hi Suze, great stuff! Thats a new one on us in the Carnation Kitchen! Well done! hi im just wondering can i use normal sugar/brown sugar or do i have to use demerara sugar? Hi Lauren, we like the flavour and texture that you get from using Demerara but you can use soft brown sugar if you don't have Demerara. Didn't have any Demerara Sugar but used dark brown sugar - simply yummy and so smooth. My first attempt at making this fudge and although very slightly grainy in texture - it looks and tastes fantastic!! I will certainly be making more. Great recipe this was my 3rd try of making fudge, well they do say third time lucky. May have over beaten it a little but know for next time. cant wait to try some different flavours!!!! Hi Sara, practice makes perfect as our Mum's always said! Well done! Which flavour will you go for next? Can I use Light Evaporated Milk for this? Hi Caroline, the recipe needs Condensed Milk not Evaporated Milk - but if you prefer you can use our Light Condensed Milk which works just fine. Do not use Evaporated Milk for this recipe. You're very welcome Delores! So glad you like them! I made this about an hour ago and it's still very soft. I'm getting the feeling that I didn't get it hot enough.... is it too late for me to reboil? Hi Alexandra, sounds like you're right... You can try to reboil the mixture - just make sure you watch it like a hawk as it will catch more easily this time and turn a deeper toffee colour and taste. Best of luck! Alternatively roll the unset fudge into balls and dip in chocolate? I was quiet apprehensive to make this after reading quite a lot of negative feed back. I followed your step by step instructions and found it all very straight forward, I did use a sugar thermometer and could not get it to your suggested temperature, the highest I got it was 110c. My fudge looks just like the picture, I'm really pleased with the results. Hi Fazla, we would not advise using caster sugar - demarara is light brown and has a coarse crystal so it gives good texture and flavour to the fudge. This was absolutely great! Although it wasn't as thick as the picture in step three, it turned out perfect. It wasn't grainy at all and I found that it had the perfect texture. I would rate this ridiculously easy as I made it in the same time it suggested. (please change the rating). I love it and I will surely make it again, as my family and friends thought it was great. Thanks for such an awesome recipe that turned out delish, and I will surely follow more of your recipes for making excellent dishes. Hi Kim! So glad you liked it and found it so easy! Perhaps we ought to take a vote on what rating it should be? Have tried to make but it just ended up as a big block of something tat tasted nothing like fudge!! Please help!!!! Hi Liddy, sounds like it got too hot! Check out our pudcast link and for best results always check the temperature with a sugar thermometer. I was so disappointed with this recipe. The demerara sugar would not melt. Eventually I moved on to step two but it came to temperature (I was using a thermometer) much quicker than the recipe suggested. I took it off the heat and now it's cooling in the tin but I can see sugar crystals and it's nothing like fudge in texture. Hi Rebecca - you do need to be quite patient with the steps in this or it will go very grainy as you've discovered. Make sure you use a non-stick pan and keep the mixture moving over a gentle to moderate heat in the first stage. Only bring up to the boil once all the sugar has completely dissolved. All hobs and pans are different so the timings are just a guide. Once its reached temperature, cool it slightly then beat until thick. Don't give up - just takes a little practice, we're sure you'll be a fudge pro very soon! Hi Macie, well done you! You're very welcome :) happy cooking! I totally failed at it! When I was boiling it, and the sugar thermometer only showed 105°C, the mass was already so thick that it started burning and I had to take it off the heat. I then stirred it for 15min (Which was one of the most painful moments in my life, because the wooden stick really scratched up my skin) and poured it in a tin. It was still shiny and I think the fudge didn't even think of getting hard and crumbly. So please help me! The product that I got is just sticky and actually has nothing to do with fudge! How do you get the mass to heat up to 116°C with our burning? PS: You should change it from "Ridiculously easy" to "Hard" or add more information and tips. Hi Friedemann, hope your arm has recovered! Not quite sure what went wrong here. It is only the temperature and the beating that make the difference. Did you use a non-stick pan? It's really important to constantly stir the mixture while melting and up to the boiling point. Once boiling stir occasionally. If the mixture is hot enough then when you start to beat the mixture and it cools it will reach a point when it starts to set in the pan. Best of luck! Just making fudge using double cream instead of milk. Let you know how it turns out. I have just made this fudge using a thermometer - I then added 3 tablespoons Bailey's and beat it - but it hasn't set enough to cut it into squares - help please? Hi Jane, try beating the fudge a little longer and adding only 2 tablespoons of baileys. I want to make baileys fudge, if I substituted some of the milk for baileys do you think that would work? Carnation says: Hi Amanda, try stirring in about 3tbsp of baileys just towards the end of the beating stage, but while its still soft. There is no need to substitute the milk. Can I subsitute the condensed milk for a tin of caramel condensed milk? Hi Jill, we wouldn't recommend it as it may go too dark in colour and toffee taste unless you like it like this in which case happy cooking! Hi Tracey, coffee fudge sounds lovely! For chocolate you can add about 100g of chocolate chips just at the end of the beating and let them marble through the mixture or press into the top once its poured into the tin if you prefer? Hi Janet, we would suggest keeping the fudge in an airtight box in a cool dry place (no need to refrigerate!). It should keep fine for about 3 weeks. Though it never lasts that long in the Carnation Kitchen! Attempting the fudge recipe now, fingers crossed!!! Hi Hilary, you're welcome! What a lovely present! Lucky teachers! this recipe came out lovely. even with Unsweetened condensed milk. it was very nice. will make again and again. Hi Natasha, glad you liked it! Hi Sue, you can use either but we tend to use unsalted for sweet recipes in the main. However the slightly salted butter does bring out the flavour even more so its entirely up to you! hi, i have been trying to make this work for weeks now but i never seem to get the little ball in the cup!! what should i do? Hi Eilidh, there are 2 very important stages to get right when making fudge or tablet- the heating and the beating! The tablet mixture needs to get hot enought to set (about 116C) and then you need to beat it until it starts to go grainy and very thick. If your arm gets tired get some hired muscle! Or tip the mixture into a bowl and beat with an electric hand mixer - soak the beaters in boiling water after. Hi Julia, we would suggest keeping the fudge in an airtight box in a cool dry place (no need to refrigerate!). It should keep fine for about 3 weeks. Though it never lasts that long in the Carnation Kitchen! Hi, I got so fustrated as it would not thicken! Wasted the whole mixutre and my time. I think it could have been because I used skimmed milk, however the recipe does not state which milk should be used-is this possible that the milk was too thin? Hi Victoria, so sorry to hear your fudge was misbehaving... It doesn't matter what kind of milk you use - what makes it set is getting it hot enough. Its easy to gauge this accurately if you have a sugar thermometer? If not did it really boil rapidly for 10 minutes? Hi is it possible to substitute sweetened condensed milk with unsweetened in this recipe or even half and half? I have made it and it's delicious, but may be even better with slightly less sugar! Hi Heidi, you could try adjusting the amount of sugar but we couldn't guarantee the results - a high sugar content is needed to make all types of confectionary to set the texture. Best of luck! Hi Fiona! Hope your arm has recovered! Semi skimmed milk won't make any difference. It is only the temperature and the beating that make the difference. Hmm how frustrating for you - wish we could step into your kitchen with you! If its got hot enough then when you start to beat and cool the mixture it will reach a point when it starts to set in the pan. I have tried to make some fudge. I could only get the temp to 105 degrees and that was after 25 mins of cooking. As the fudge seemed to set into a soft ball in iced water. I beat it for 15 mins and poured into a tin to set. It has turned out like soft toffee. Is there any way to rescue it?! Hi Shirely, you can gently re-melt the mixture and re boil it - it will only set like fudge if it reaches the right temperature. You will need to constantly stir the mixture this time as it will catch more easily. You know its ready as it will start to set in the pan after you've beaten it. If it doesn't then it didn't get hot enough! Best of luck! I've just made this fudge and am waiting for it to set.it smells divine! The only problem I found was when I was beating the fudge in the final stage there were quite a few dark brown specks in the mixture and you can see them in the baking tin. I'm not sure what that is due to? Hi Bev, these little specs will be where the fudge has caught slightly on your pan - always best to stir the fudge as much as you can while its cooking to prevent this - its especially important while melting and up to the boiling point. Once boiling stir occasionally. Best of luck! Hi, I made the fudge yesterday but it did not set. The only thing i did different was I used low fat margarine!! could this of been the problem has anyone had the same problem? Hi Amanda, we tend to stick to butter and have not tested it with low fat margarine. These spreads sometimes have a high water content so this might affect the final result. Hi Sarah, did you make sure you really boiled it? It needs to reach about 116-118C on a sugar thermometer first? You can very gently re-melt the mixture in a non-stick saucepan over a low heat, then stirring all the time (it will catch easily) re boil the mixture (to 118C). Then beat briefly until thick. Or you can roll the unset fudge into balls and dip in melted chocolate if you prefer! OMG! I made this just now but used Carnation Light and Muscovado sugar ... it is a gorgeous dark colour and tastes like melt in the mouth toffee!! I'm going to use some of these other suggestions such as adding Baileys and give them as little homemade gifts. Thanks Carnation! Hi Tracey, Mmmm this sounds wonderful! How delicious! Have just made a batch of this fudge and it always seems to take much longer than the time stipulated. However, I kept patient although my sugar thermometer took an age to get to the required point. Well worth the wait as it tastes delicious.Lots of people will be getting some of this for Christmas! Like the sound of baileys!!!! When would you add the baileys... and how much? Hi Viki, Baileys would be delicious! Try stirring in about 3tbsp just towards the end of the beating stage, but while its still soft. Well I have just made my 2nd batch of fudge. This time I added 2 teaspoons of liquid glucose at stage one and only boiled up to 114*. Perfect creamy fudge. Not at all crumbly like my 1st attempt. Hi, i have made this numerous times but it never lasts very long as everyone eats it! I am planning to make some for xmas and birthday presents. How long will it keep? Hi Amanda, we would suggest keeping the fudge in an airtight box it should keep fine for about 3 weeks. Though it never lasts that long in the Carnation Kitchen! Absolutely delicious, and very easy to make, only problem is, it's too good and you can't stop eating it! Hi Sylvia! Yes definitely not 180!! I have just made this fudge and I too find it has gone very crumbly and quite hard. I read the comments about the importance of heating to 180 and beating for 10 mins, I used a thermometer so got it to 180 but could only beat it for 4 mins before it set solid in the bowl!! But it does taste good. Advise please. Hi Sylvia, wow that does sound quick! Perhaps you don't know your own strength! Sounds like you got everything right - our suggestion is just then to beat until it starts to turn thick - if you want to test a bit - drop some into a bowl of cold water and then you can see if it sets. Are you going to be adding some new sweet recipes soon for christmas? Would i be able to add pecans to this? And, if chocolate chips are added when you suggest, do they melt or no? Hi Fiona, mmm both sound delicious! Toast the pecans in the oven or in a dry pan gently for 5-8 minutes first. With the chocolate chips - cool the fudge before beating for 5 or so minutes, beat until thick and then fold the chocolate in or just push into the top at the end! They may well melt a little but will still be lovely! Good luck! Hi, i made this fudge for the first time tonight but it was crumbly fudge rather the squishy fudge (it still tastes nice). do you know where I went wrong as I would like to make squishy fudge? Hi Denise, sounds like you may have beaten it for a little too long - at the end of the boiling stage, allow it to cool slightly then beat only until it turns thick - you should still be able to pour it/spread it into the tin. If you drop a little of the fudge into ice cold water you can see if it sets. Let us know how you get on next time! Hi Mary, why not try reading some of our suggestions here - for Irish Cream Liqueur or Rum and Raisin, melted chocolate or try any dried fruit and nuts of your choice! Have fun! I'm going to be adding Baileys, will this effect the storage time. Hi Mandy, mmm yummy! The alcohol should not affect the keeping - keep in an airtight box for upto 3 weeks. Hi gonna make this tomorrow but rum & raisin flavour. How much would you suggest I use? Can I use semi skimmed milk or does it have to be fill fat. Hi Lynette, rum and raisin would be delicious! Try soaking 115g raisins in 2-3tbsp rum while you make the fudge, then stir in just towards the end of the beating stage, but while its still soft. Also semi skimmed milk is fine! Hi Mandy, yes it will so only add a small amount - up to about 3tbsp should be ok. Add the alcohol at the end before you beat the mixture to set it. What flavour are you making we'd love to know?! Hi, if I want to add alchohol to the recipe, will it affect it setting? Hi Tracey, yes it will so only add a small amount - up to about 3tbsp should be ok. Add the alcohol at the end before you beat the mixture to set it. What flavour are you making we'd love to know?! Hi,I followed the instructions precisely but the fudge has not set and looks like the picture for step 3, after 5 hours of leaving it. Do you have any suggestions on where I am going wrong ?I beat the mixture for over ten minutes and it looked like it was thick enough. Hi Nat, hmm we think perhaps the mixture didn't get hot enough - you could try to re-boil the mixture for a little longer (it needs to reach about 116C on a thermometer if you have one). Then cool slightly, rebeat and that should work. Let us know how you get on? Could I use the caramel condensed milk or would this be too sweet? Hi Karen, we would suggest keeping the fudge in an airtight box it should keep fine for about 3 weeks. Though it never lasts that long in the Carnation Kitchen! Hello Made the fudge today and following the recipe to the letter and everything looked like the pictures. But it went all chalky at the end. Not sure what happened??? Did I over beat, burn under cook?? I used a themometer so really confused. Hi Rachel, sorry to hear that... The beating stage is really responsible for the degree of graininess - so next time we would suggest you just beat a little less - just until its turning thick. Some like it soft and some like it grainy so its really up to you! How long should the fudge keep for? Hi Simon, we would suggest keeping the fudge in an airtight box it should keep fine for about 3 weeks. Though it never lasts that long in the Carnation Kitchen! Hi, could you please tell what the shelf life would be on this and also best way to store. I am thinking of providing this as part of a hamper of foodie gifts and would require best before date from date of producing. thank you. Hi Kay, sounds like a lovely idea! What else is going in your hamper - we'd love to know! The fudge should keep for about 3 weeks in an airtight container away from moisture. Happy cooking! Hi Lisa, you're so on trend! Salted caramel, salted fudge and salted chocolate truffles are all the rage at the moment.... Sounds divine! Hi Rebecca, sometimes its easier to allow the mixture to cool slightly before beating it and it does take quite a long time! Be patient and get those muscles going! Also did you make sure it boiled for the correct time? Made the fudge but it turned out gritty with the sugar granules not dissolved. Hi Warren, sounds like either the first stage wasn't done slowly enough or that perhaps you beat it just a little bit too long. Take your time next time and I'm sure it will be perfect! Hi. Made fudge today. This is particularly for tabelmabel who submitted a comment in September. Don't use Demerara sugar....it burns! Use white caster sugar. Also use an electric whisk. You won't lose patience so easily and it helps to stop burning. It will "whisk out" any burnt bits and dissolve them! My top tip for flavour is to use carnation evaporated milk instead of milk! Hi Caroline, great idea to use Carnation Evaporated Milk for an even richer flavour mmm! Hi Amanda, we would suggest you add the flavouring just before you start the beating. Sounds like a fab idea - lucky guests! Phew! I used to make this back in the 80's but appear to have lost the recipe. I got it from the back of a tin of condensed milk - found 4 other recipes but not this one. I made pounds and pounds of it - thank goodness I've found the recipe again! Hi Gill, great stuff! Glad we could reinvigorate your confectioners skills! doing fudge for wedding favours and would like to add baileys when is the best time to add it during cooking? Hi Amanda, this sounds delicious! We haven't tested this but we think the best option would be to add a small amount of liqueur just before the beating stage, off the heat - no more than a couple of tablespoons as the alcohol will make the fudge softer. Please let us know how you get on! My fudge went kind of brittle and hard and tasted somewhere between toffee and fudge - strange! I think I followed the instructions to the letter so i'm not sure what went wrong?? Hi Sarah, sounds like the fudge got a little too hot? It needs a nice even temperature and a watchful eye to stop it catching. However we LOVE toffee so perhaps you've just invented something amazing?! Toffudge? Hi Mariam, we have that trouble in our kitchen - being a great cook means you are never short of friends! made the fudge today and it's all gone wrong! Lack of patience on my part made me turn the heat back up (as my sugar thermometer showed the temp too low for ages) I burnt the fudge, it turned to rock hard toffee very quickly and only then did the thermometer respond! I will try again using the ball of fudge in the water test! Meanwhile, I would not describe this as ridiculously easy - definitely skill and patience needed! Hi Laura, I think you're right we'll change the difficulty rating... It can be tricky and sometimes the thermometers are a bit slow to respond : ( Don't give up sounds like you were so close! Hi Grace, the fudge needs to get really really hot first - about 116C - so if you have a sugar thermometer this really helps! This stage is crucial or no matter how long you beat it it will not set. If you like your fudge crumbly beat until its starting to go grainy and very thick before transferring to the tin. Hi Susannah, sounds like you might have over-beaten the fudge.. Try transferring the unbeaten mixture to a bowl, let it cool slightly then beat by hand with a wooden spoon until it gets really thick but before it sets and starts to turn grainy. Pour into the tin and cool completely. Is this recipe suitable for home freezing? Hi Rebecca, no the fudge won't freeze but it will keep well in an airtight container away from light, heat and moisture. Hi, Does anyone know how long the fudge keeps? I was hoping to make some to give as christmas presents as part of a hamper containing other homemade treats! Hi Anne, what a lovely idea! We suggest about 3-4 weeks if you keep it in an airtight container. Hi.Made the fudge for the first time this week, what a hit with everyone! I just made the fudge and used a sugar thermometer to get it to 116 degrees (it took longer than the 15 mins suggested,but I don't think I had the hob temp up enough.I made sure there wasn't any undissolved sugar and beat it for ten mins and mine went grainy and crumbly too. Do you think I overbeat it? It wasn't lifting off sides and coming together like in your picture, but it went grainy up the sides of the pan as it cooled and thickened. Tastes good anyway tho, but I'd prefer it smoother so help please! Hi Zoe, our advice is to let the mixture cool a little before you start beating and if you see any grains of sugar on the pan remove them. We find it easiest to pour the mixture into a clean plastic bowl and beat until thick. Hi Wendy, best to keep the fudge in an airtight box out of the light. It should keep happily for a few weeks. HELP !! i love baking and have attempted this and it just didnt work, it didnt end up smooth it ended up very gritty and crumbly :-/ !! Hi Zoe, sorry to hear the fudge didn't work out for you... It sounds like it might be down to too much beating or it could be that there were some undissolved sugar mixed back in from the side of the pan - this can re-crystalise the mixture. I love this fudge sooo much! I cook mine longer than suggested because I like the crumbly texture I get when I do. How long will it keep once made?? Hello! If you keep in an airtight container it should keep happily for about a month (though it never lasts that long in the Carnation Kitchen!). Step 1 can take quite some time . Make sure every sugar crystal has dissolved before the first bubble appears for step two. Also add two teaspoons of liquid glucose at step 1 . Use a thermometer but do not heat right up to 116C , take it off the heat at 114/115C as it will continue to heat up . Yes you're right Nick, best to do step one gently. We don't tend to use liquid glucose but it will give a softer result if you do. Sugar thermometers are great if you have one - but take care not to catch any very hot fudge on your hands! Hi Aliya, there are 2 very important stages to get right when making tablet - the heating and the beating! The tablet mixture needs to get hot enough to set (about 116C) and then you need to beat it until it starts to go grainy and very thick. If your arm gets tired get some hired muscle! Or tip the mixture into a bowl and beat with an electric hand mixer - soak the beaters in boiling water after. Ultimate Fudge Recipe is rated 4.4 out of 5 by 121. Rated 5 out of 5 by ladyjaguar from Very easy. It just takes time. I've now used this recipe twice and each time it has been fantastic. It's important to remember you can't rush it, so I slowly dissolved the sugar, then stirred and boiled (swapping between boiling and simmering plates on my Aga) for exactly 15 minutes. If you don't, it catches on the bottom and dark lumps form. Not nice. I used the soft ball method to check for readiness, remembering to put a mug of water in the fridge before I started. And it's okay to pour it into the tin before it sets too much. If it does, pat it down with a fork dipped in water. I sprinkled mine with flakes of Maldon salt at the end and the combination was delicious. Rated 5 out of 5 by Mmm Fudge from Perfect old-fashioned fudge If I could have only one fudge recipe, then this is it. I'm sure I've never tasted better! It's simple, and reliable; but for success it requires a heavy, thick-bottomed pan, plus a stove that outputs sufficient heat. I grew up watching my mum make this fudge; she would make it every Christmas as a treat and cherished stocking filler, and it never failed to delight. It has a wonderful granularity, whilst still being slightly chewy. Cooled and stored in an airtight container, it keeps without any evidence of spoiling for as long as you can keep it hidden! It will also freeze with no ill effects. Rated 5 out of 5 by Aliaalu from Perfect Fudge every time This is a fantastic recipe, I have made it dozens of times and it has worked out beautifully. I have a few words of advice.... invest in a sugar thermometer, you won't regret it, that to me is what makes this recipe reliable so has been well worth a small investment of a few pounds. I think the reviews who say the fudge is too soft/hasn't thickened possibly didn't let their fudge get to the right temperature, that bit takes ages from my experience and watching the sugar thermometer so be patient! Also for step 3 I use an electric hand whisk. Well worth the effort and it makes lovely Christmas gifts. Rated 5 out of 5 by TeresaR from My dad made ths every christmas, today, I did too! My father passes away when I was young, and I have some really good memories of him. One was always making "carnation maple fudge" (okay so it wasn't really maple, it was brown sugar, carnation, butter and milk) when I was a child. I never had the recipe and then found this on line. Making it was wonderful, easy and uncomplicated. and the taste.. Felt like I was sitting on my fathers lap again. Thank you for posting this! Rated 5 out of 5 by Mother of the Bride from Made as 'Wedding Favours' My daughter asked me to make packets of fudge for 'Wedding Favours' for 80 guests. Being a totally rubbish cook, I initially panicked, but when I found this recipe I was so grateful. I made loads of fudge (night in, night out!). The recipe is so very easy to follow (just don't use the low sugar version of condensed milk - as that doesn't seem to work). The 'beating' at the end is hard work - so I used my Kenwood food mixer (it's got a metal bowl - which seemed to be fine with the hot fudge mixture). Once the fudge had cooled down and set (the next day seemed to work best) - I just cut it into squares and put several 'cubes' into little pretty paper bags, sealed with a pretty little wedding sticker. Very happy with the result. Rated 5 out of 5 by Nordiclaura from Brilliant recipe and tastes ace. Great recipe, not many ingredients, easy to follow and tastes delicious. Its easy to adapt different flavours. As its easter i made hot cross bun flavour fudge. The whole house smells fantastic.